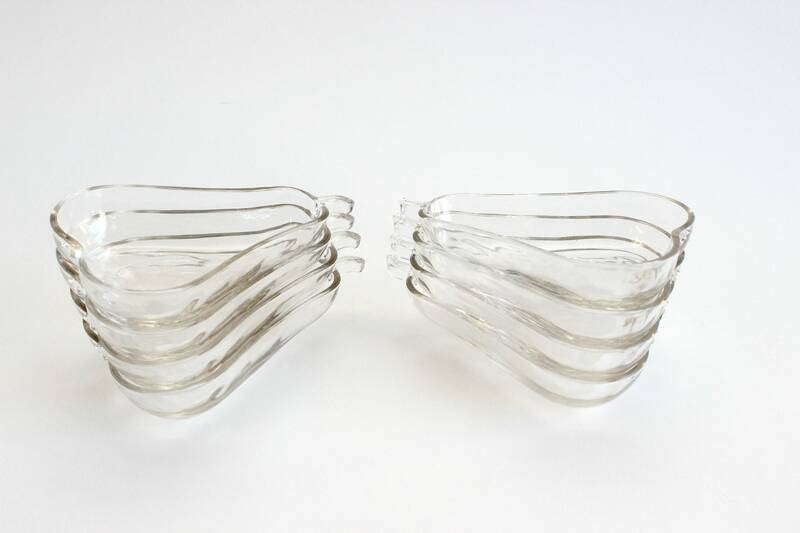 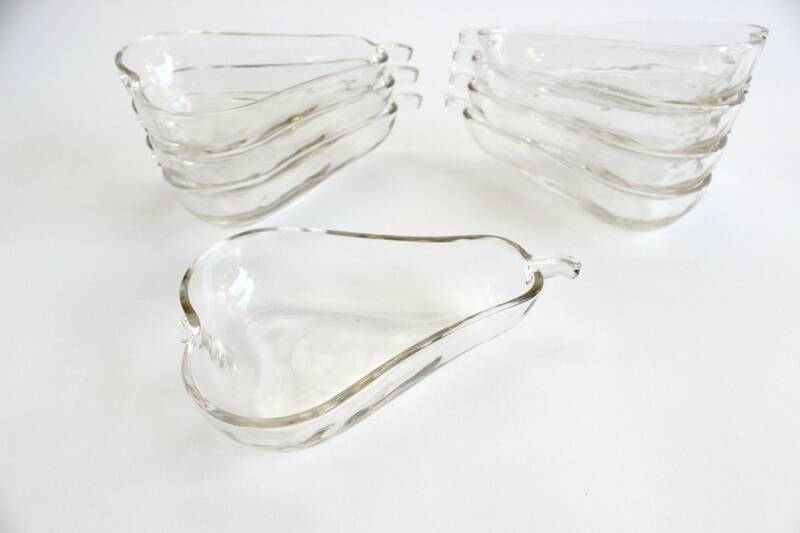 Set of 8 - Vintage glass pear bowls. 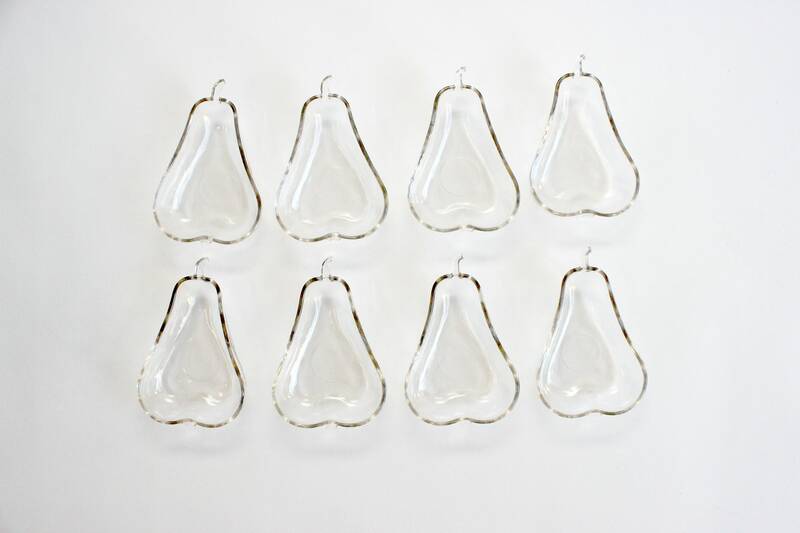 Small shallow dishes shaped like pears. 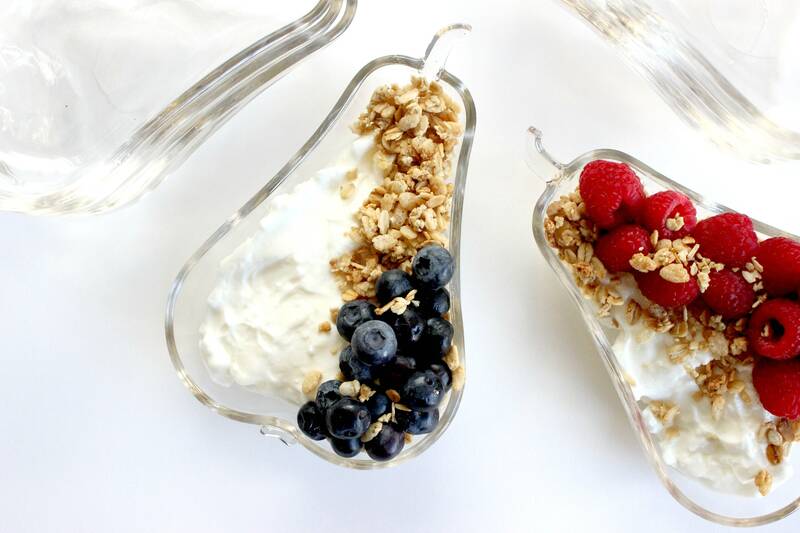 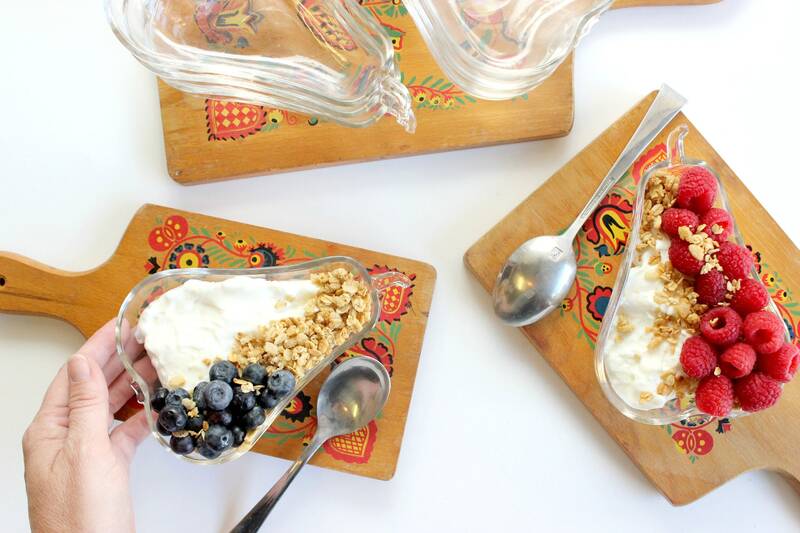 Perfect for serving yogurt or a side of fruit. 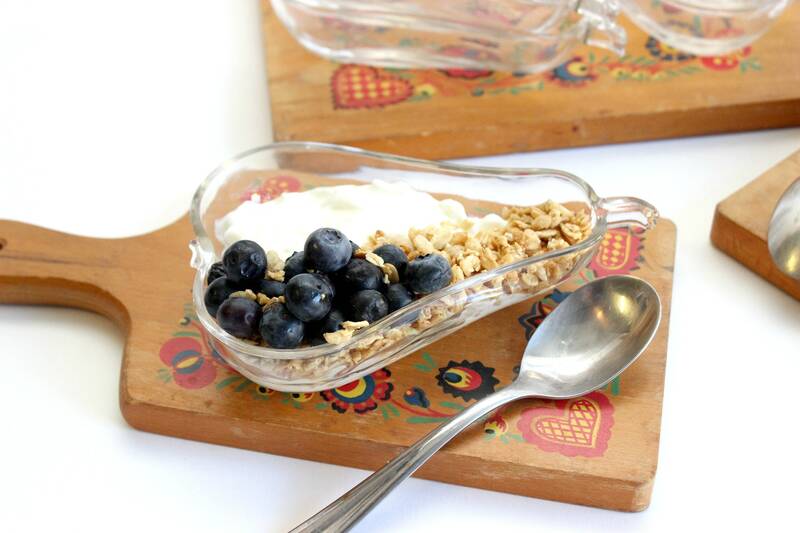 This is a fun set that will mix easily with other dishware! 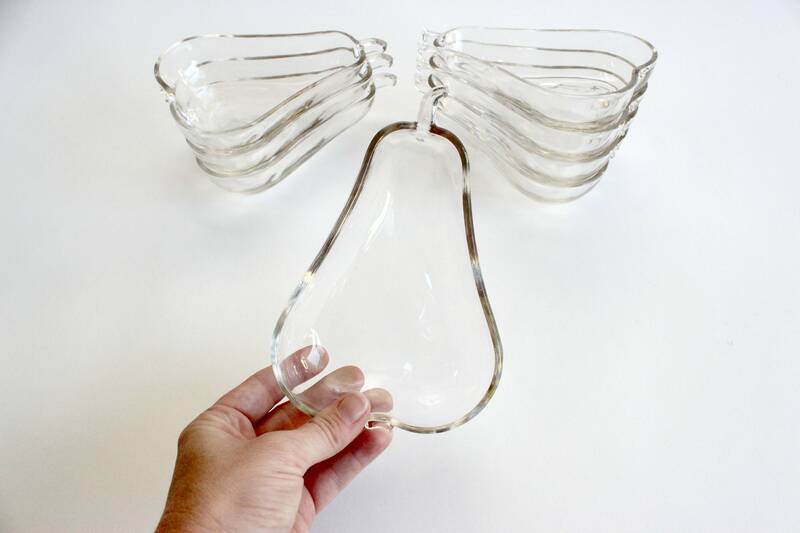 Each dish measures 6 inches long, 4 inches wide and 1.5 inches tall.